The Natural Evolution in Game Call technology. The Eastern Shoreman X2 is a precision CNC turned call that resembles the original hand-made model, but with some enhancements. 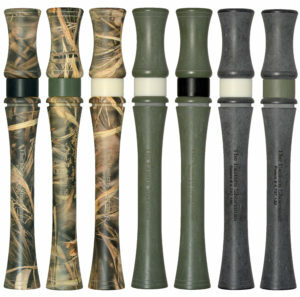 ~ The material has been formulated to enhance the sound of the calls and is practically “bullet-and-retriever-proof”. ~ The slender body profile enhances the calls tone by reducing wall thickness to optimum dimensions. This creates a more lively sound and “feel”. ~ Our Poly-cylindric bore allows for better, more “vocal’ note production, while actually improving the note-to-note speed of the call. ~ This call can practically be used to drive nails. Throw it in your hunting bag, use it as a retriever trainer, call in a flock. It simply will not let you down. 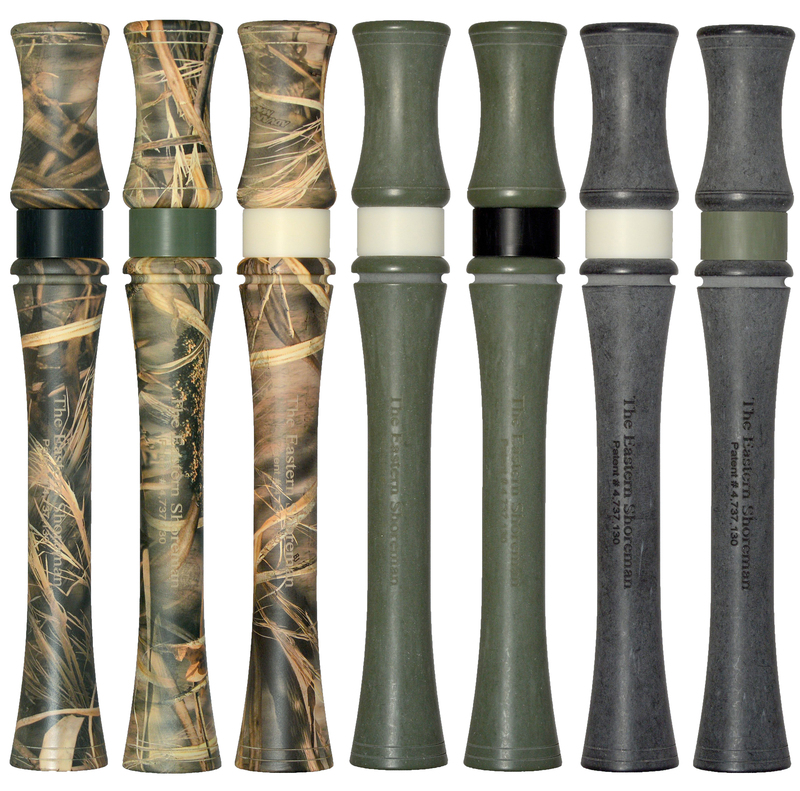 Available in Marsh Green, Stealth Black or Max4 Camo, these calls offer the hunter a great sounding, guide-proven, bullet-proof, Eastern Shoreman for under $100.